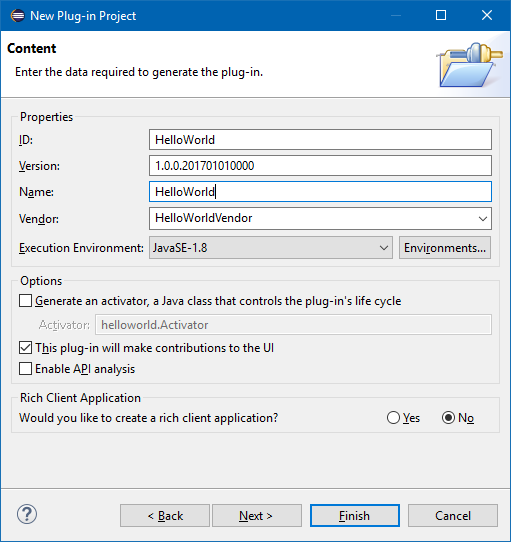 This section provides an overview of what eclipse-plugin is, and why a developer might want to use it. 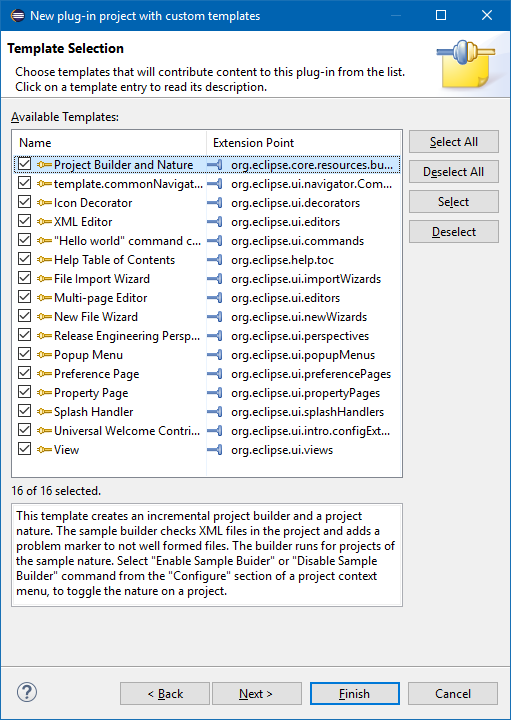 It should also mention any large subjects within eclipse-plugin, and link out to the related topics. 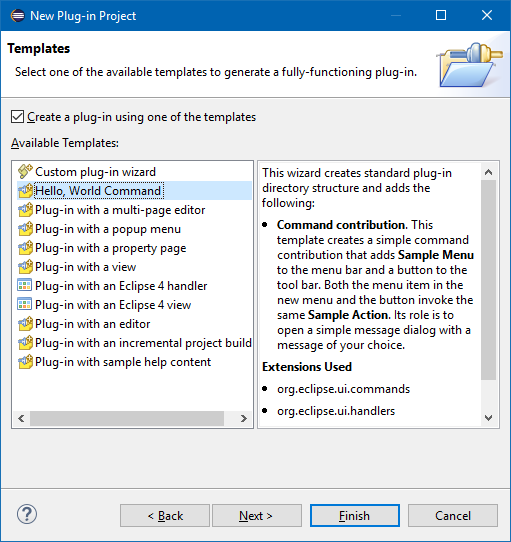 Since the Documentation for eclipse-plugin is new, you may need to create initial versions of those related topics. 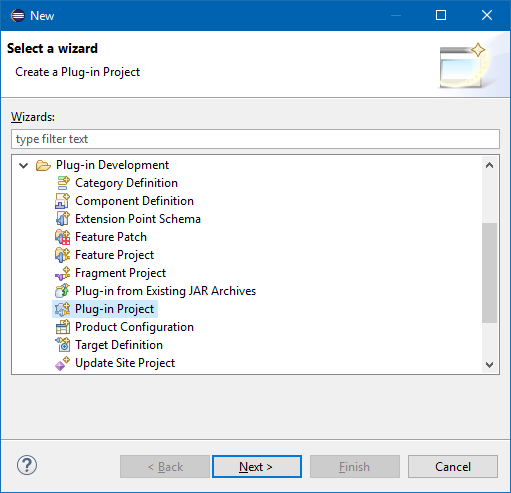 The New Plug-in Project wizard will guide you through the options for creating a new plug-in. On the Content page, you can set the ID, Version, Name and Vendor of the plug-in. The Version will be 1.0.0.qualifier by default. You can leave this as-is, but it is better to change this to something meaningful. The eclipse wiki recommends a syntax like vYYYYMMDD (year, month day). On the Templates page, you can choose to create you plug-in from any template by selecting it and clicking Next >. Alternatively you can combine these templates by choosing Custom plug-in wizard, or to create a new plug-in without a template by deselecting the checkbox in front of Create a plug-in using one of the templates. 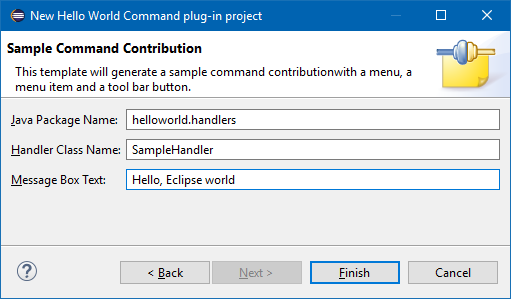 For the Hello, World Command template, there are additional settings: the package name, Handler class name and the text for the message box. 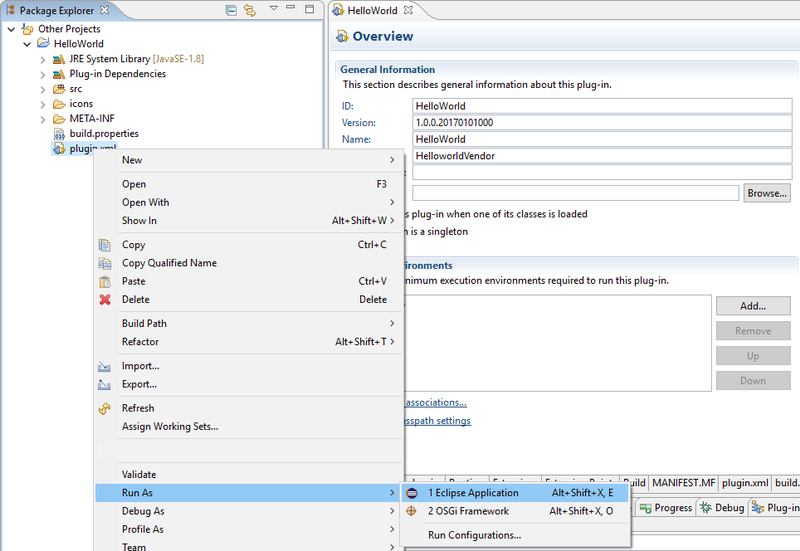 This will launch a new instance of Eclipse (with its own workspace) that will have your plug-in loaded. * Our sample handler extends AbstractHandler, an IHandler base class. This is all the Hello World plug-in does. 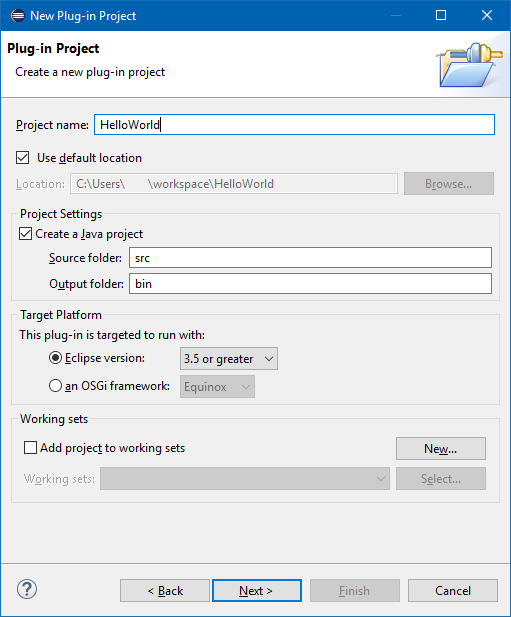 Assuming you have Eclipse IDE for Java Developers installed, start Eclipse, click "Help" -> "Install New Software..."
Select "--All Available Sites--" at "Work with:", and navigate to "Eclipse Plugin Development Tools". 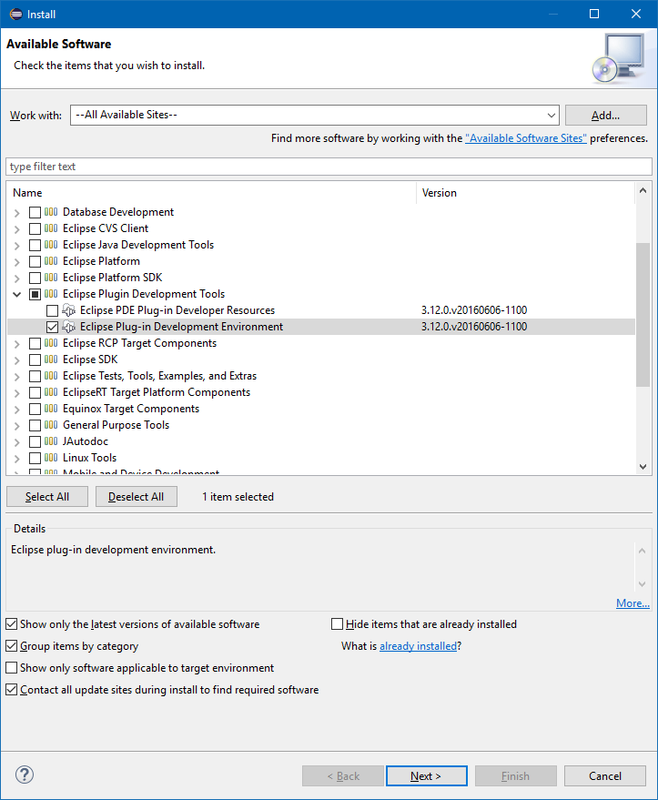 Select "Eclipse Plug-in Development Environment" by ticking the checkbox in front of it. 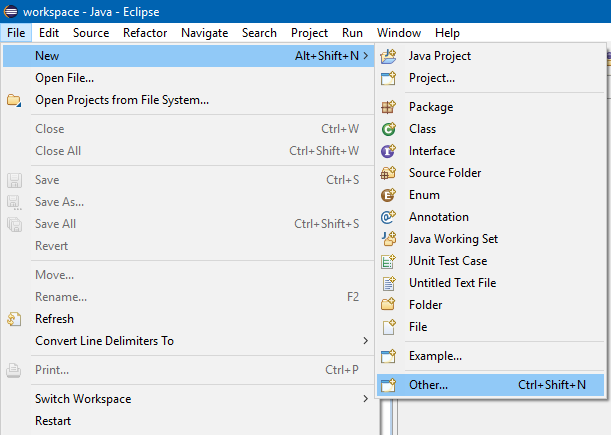 Click "Next" to let Eclipse check for any dependencies needed. 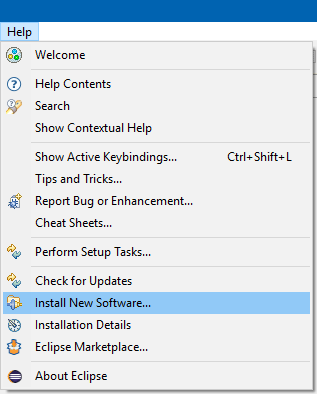 Click "Next" again to start the installation. Once that has finished, restart Eclipse.